Welcome back Maharanis! 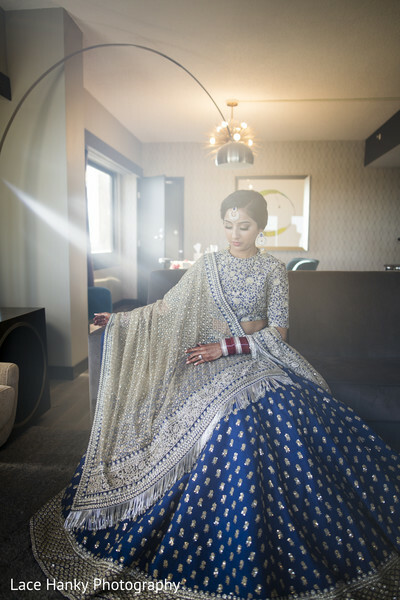 We’re taking you back to the Midwest for Ritika and Rajdeep’s darling St. Paul, MN reception soiree at the Intercontinental St. Paul. 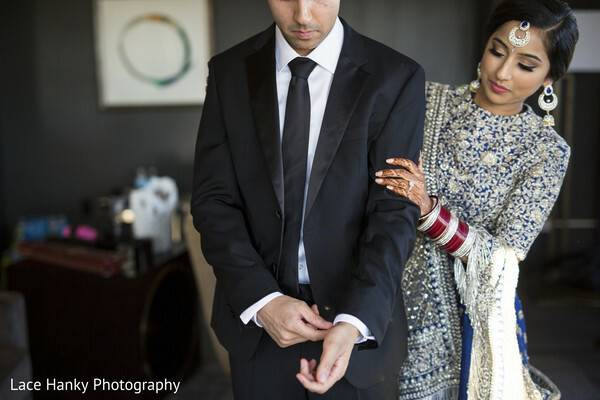 This adorable twosome switched out of their traditional ceremony garb and amped up the drama with their black tie finery. 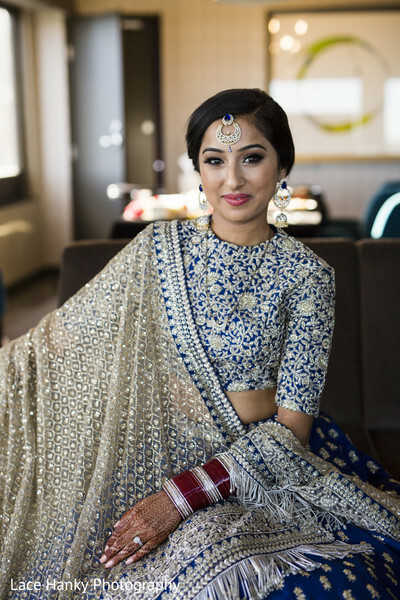 We’re obsessed with brides in blue, so we're thrilled that Ritika chose a sparkling navy and silver lehenga to get the reception party started! Meanwhile, Rajdeep was handsome in an expertly fitted tux and skinny tie, complementing his new bride with gusto. 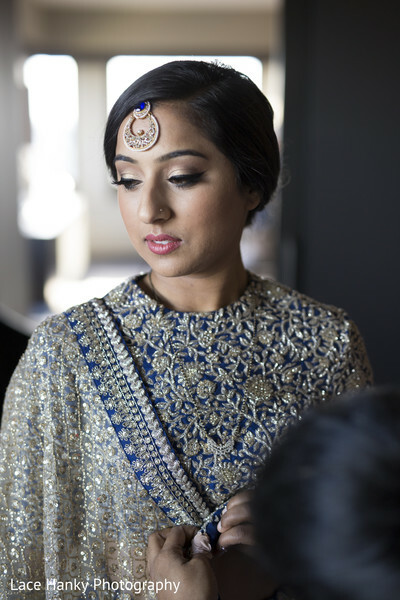 Hair stylists at WarPaint International Beauty Agency and makeup artist Brynna Heiser once again hit it out of the park with their hair and makeup mastery, creating smoky eyes and a soft updo for the main Maharani. 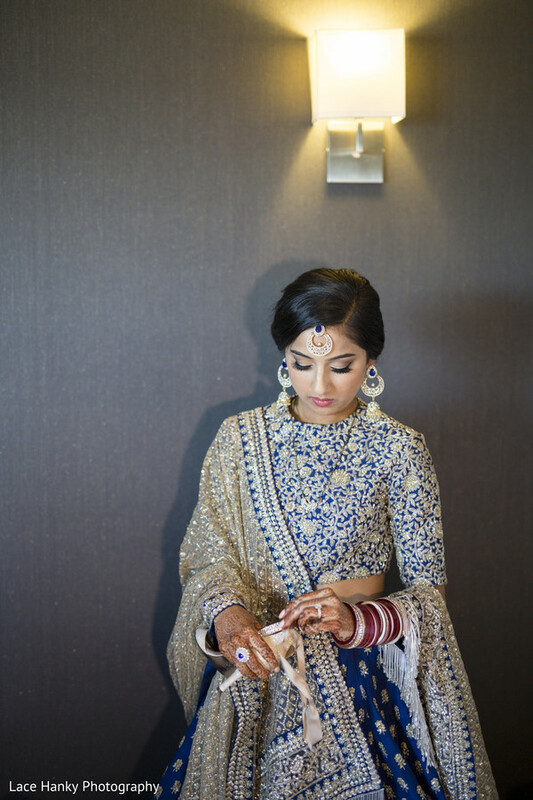 Lace Hanky Photography shot some poignant portraits of the new bride in her suite, and we love how they captured her deep in thought while adorning herself in her glitter and bling! The charming chemistry between Ritika and Rajdeep is a joy to witness and we just know this duo had a reception filled with razzle dazzle. 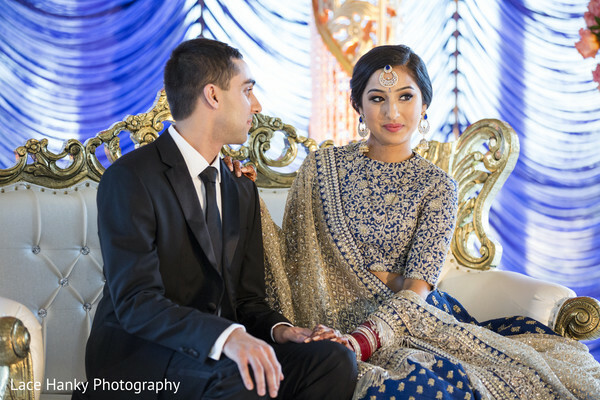 To peek behind the scenes, hurry over the full gallery by Lace Hanky Photography for all the action! 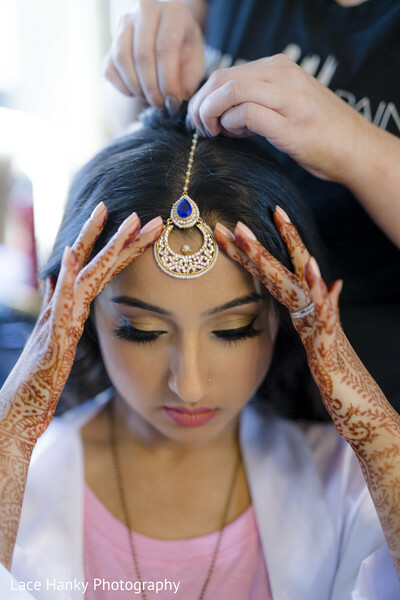 Have a lovely rest of your day Maharanis! 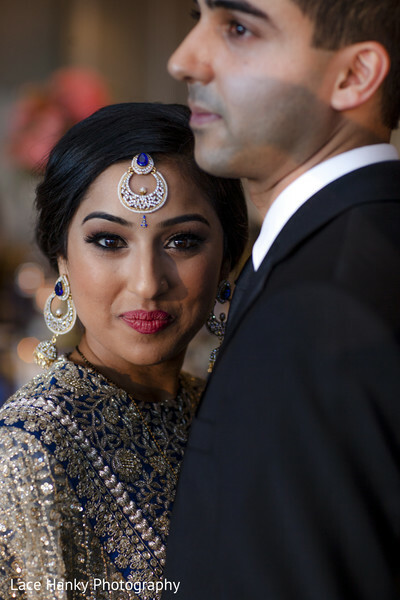 See you all bright and early tomorrow for more Indian wedding gorgeousness!